Matt tells us about a failed agile transition, and what he learned from that experience. He also talks about one of the biggest threats to agile transitions all over the world: the “shiny object syndrome” that affects many organizations today. Matt also recommends a book: Scrum and XP from the trenches by Henrik Kniberg. 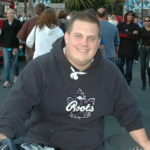 Matt is a Scrum Master within the Product Development organization at FreshBooks. He spent time in QA, Business Analysis and Management before becoming a CSM and, eventually, a full-time Scrum Master. You can connect with Matt Dominici on Twitter. Matt Dominici on LinkedIn. The worst enemy of this particular team, according to Jeff Kosciejew, was the pattern of avoidance. Avoiding problems is one of the pitfalls that our teams deal with. Jeff also refers to #MobProgramming, an innovative practice originally promoted by Woody Zuill. On this Fail Monday episode, Jeff Kosciejew shares his ideas on how to look beyond the teams as the focus of our work as Scrum Masters. He also shares his very colorful and diverse history, and how being a Bank Manager helped him become a better Scrum Master. Peter shares his unusual idea on how measuring the use of the word Scrum can give you real insights to your success as a Scrum Master. Peter tells us the story of a ScrumMaster that seemed like a good choice but was too shy to help the team grow. He explains how he views the role of the ScrumMaster, and especially what is needed to help them evolve. Being a slave to the backlog, and just going through the motions without interacting with the other team members or stakeholders. This is further amplified in Death-march like projects.